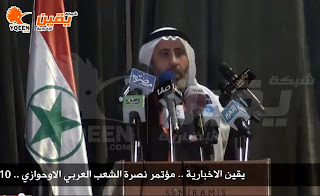 Iranian police and the intelligence service have begun a campaign of arrests of Arab activists across Al-Ahwaz following a conference at Egypt's Al-Azhar University which called for self-determination for indigenous Ahwazi Arabs. President Mahmoud Ahmadinejad recently visited the Al-Azhar mosque in order to establish Iranian leadership in the Muslim world and play down growing Egyptian solidarity with Ahwazi Arabs. He was instead publicly humiliated when Sheikh Ahmed al-Tayeb told him to respect Iran's Sunni population and to give Ahwazi Arabs their full rights as citizens. 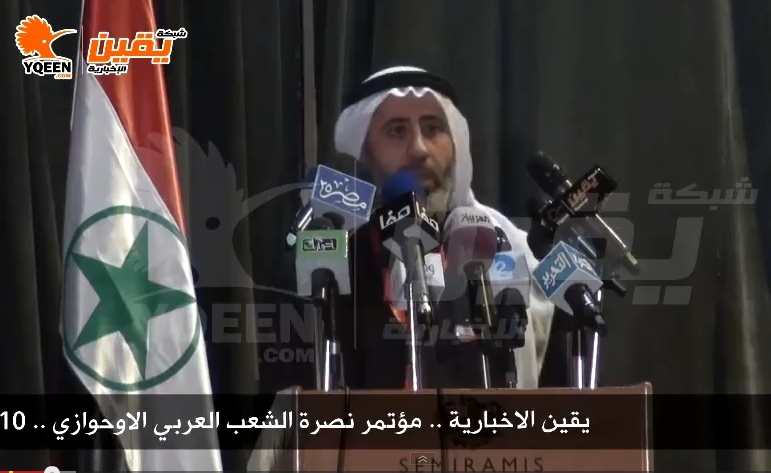 The Iranian regime is reportedly annoyed over the pro-Ahwazi sentiments expressed by officials and Sunni leaders at Al-Azhar and is taking revenge against Ahwazi Arab activists. In Khalafiya, Saeed Asakereh, 37 years old, was arrested on 26 January by the intelligence services and taken to unknown place. His family have not received any news of his whereabouts and are deeply concerned for him due to existing health problems. On 8 February, the regime arrested the Ahwazi activist Habib Korashat, a 30 year old married man with one child, in Malashiya.